The climate in our country at present makes it increasingly urgent for us to bring diverse portrayals of diverse peoples to young readers. In addition to the resources we promote through schools, libraries, and other communities, there’s a new kid on the block, a subscription service called Culture Chest, which provides books that highlight diverse experiences geared toward readers aged 3-8. Several subscription options are available. Here are some highlights of my chat with Rose Espiritu, founder of Culture Chest. LKL: Tell us the mission behind Culture Chest. 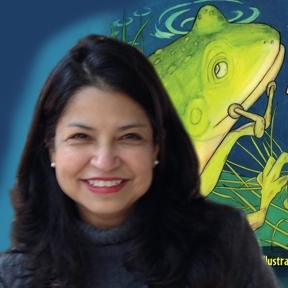 What does it bring to the work of diversifying children’s literature? Rose: Two years before beginning Culture Chest, I was working on a documentary about parenting someone of a different race. I interviewed over one hundred interracial families as well as those brought together through transracial adoption. Many families explained the difficulties of finding books with characters that looked like their children. While filming, I interviewed a young Latina girl who was adopted by a Caucasian family when she was born. She told me about a book that described the adoption process and compared it to a “birthing video.” It was the only explanation she had for how she came to be. Through her, I realized the importance of children’s literature. Rose: As a second generation immigrant of Nigerian and Filipino descent, I struggled with finding literature about my heritage when I was growing up. I created Culture Chest to help people learn about themselves and other cultures. I wanted to provide a resource for parents to teach their children about the world within the comfort of their own homes. I think of Culture Chest as a social venture, and I want to support the diversification of children’s books. The goal is to show publishing companies that folks want diverse stories with cultural relevance which will hopefully prompt them to invest more resources towards supporting authors from diverse backgrounds. LKL: How do you select the books? 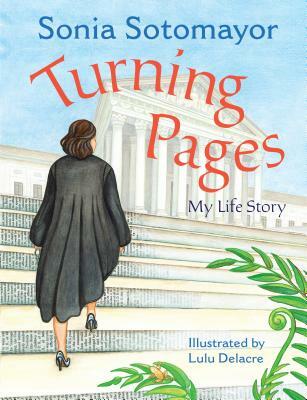 Rose: I consult with children’s book reviews and testimonials as well as books that I personally enjoy. I look for books written by diverse and emerging authors who have a personal connection to their work. 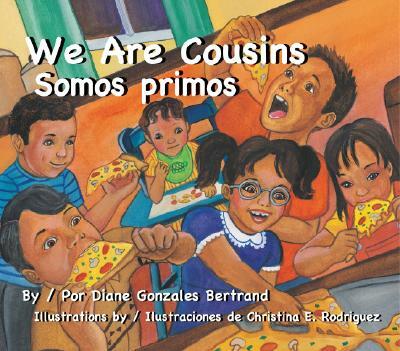 At Culture Chest, we do not look for books where characters “happen” to be a person of color. We want stories with cultural relevance that encourage children to love other cultures. 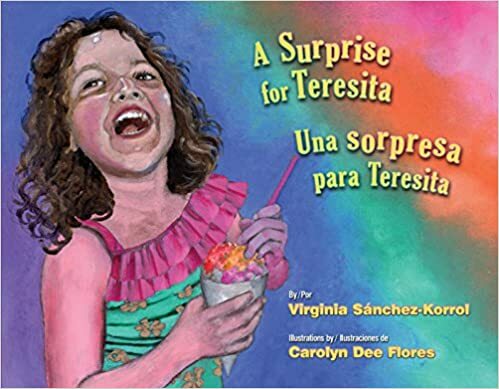 LKL: What are some of your favorite books by or about Latinxs? grandfather telling a tall tale about how he got older. I was super close to my lolo (grandfather) and it reminded me of that special bond. Tito Puente, Mambo King by Monica Brown is a fun vibrant story of about Tito Puente banging on pots and pans as a child. I’ve seen many children light up after reading it to them! We featured this title in our September box. For older readers, I love How The Garcia Girls Lost Their Accents by Julia Álvarez. I immediately related to this book and its themes of pressure to assimilate, racial identity, and the immigrant experience. I love the fact that it is told from the perspective of four girls. It felt like snapshots of the past. I was introduced to the time of Trujillo and the political unrest in the Dominican government that led to their family fleeing to America. This book had adventure, laughter, and stories everyone with strict Catholic roots can relate to. LKL: What else should readers know about Culture Chest? We are a humble startup with big dreams of promoting culture through books, toys, and other avenues. Traveling to other countries and reconnecting with my heritage as an adult has helped me become a much more self-assured, confident person. My parents immigrated to this country, so their goal was to be American. As an American, I feel I have to work twice as hard to hold onto my heritage. I know others share this desire. Our goal is to help make it easier for parents and children to engage with their culture. LKL: How can folks learn more about what you do? Please join to our email list and connect with us on Twitter at @CultureChest. You can also find us on Facebook and at our website. Learn more and subscribe at culturechest.com, and use the promo code WELCOME to get 10% off as a new subscriber. 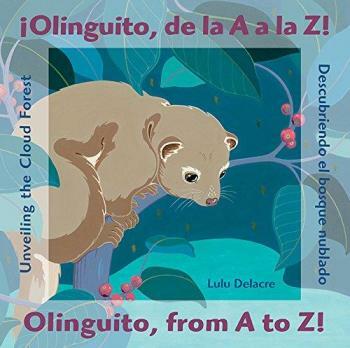 While I didn’t correctly predict the top winners in last year’s Pura Belpré Awards, many of the titles mentioned received recognition at the American Library Association’s 2015 Youth Media Awards. I wonder how close I will get this year! We’ll see on January 11 as the children’s literary world waits with baited breath for the announcements of the recipients of the top kid lit awards presented by librarians in the United States. Results of Mock Newbery, Caldecott, Printz, Coretta Scott King, and Geisel lists have been tallied on the Association for Library Service to Children (ALSC) blog. An Oregon chapter of REFORMA (National Association to Promote Library and Information Services to Latinos and the Spanish-Speaking) even posted their own Mock Pura Belpré. And the “Latinas 4 Latino Lit” blog posted their top picks in late November. 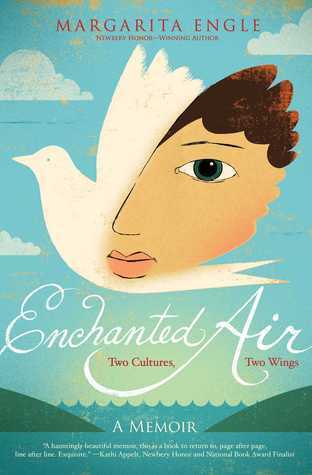 Enchanted Air: Two Cultures, Two Wings by Margarita Engle. illus. by Edel Rodriguez. S. & S./Atheneum. Reasons why I think it will win: Already a YALSA Nonfiction Finalist, an SLJ Top Latino Book, and the recipient of multiple starred reviews, the latest work by the first Latina to receive a Newbery Honor is truly a tour de force. A memoir in verse detailing her struggles as young person caught between two worlds—Cuba and the U.S.—this title is as compelling and well-written as Engle’s previous Pura Belpré recognized titles. Plus, the Oregon Mock Pura chose this as its winner—and I’m in full agreement. 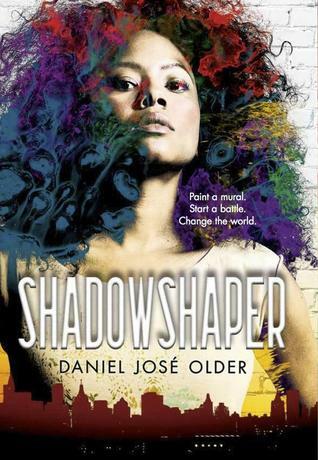 Probably one of the most celebrated YA titles this year, this urban fantasy with an unapologetic but totally real Afro-Latina is a joy to read and heeds the call for diversity within the sci-fi/fantasy genres. Plus, the celebration of Latino culture is strong in this title, offering an often ignored aspect of our culture—anti-Blackness. 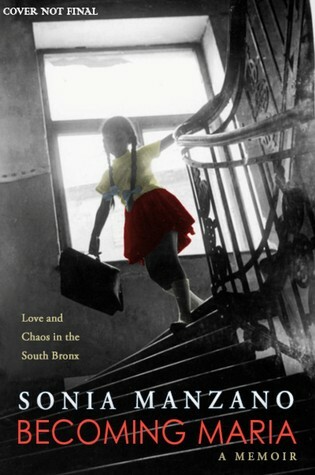 Becoming Maria: Love and Chaos in the South Bronx by Sonia Manzano. Scholastic. Manzano is no stranger to the Pura Belpré Awards. 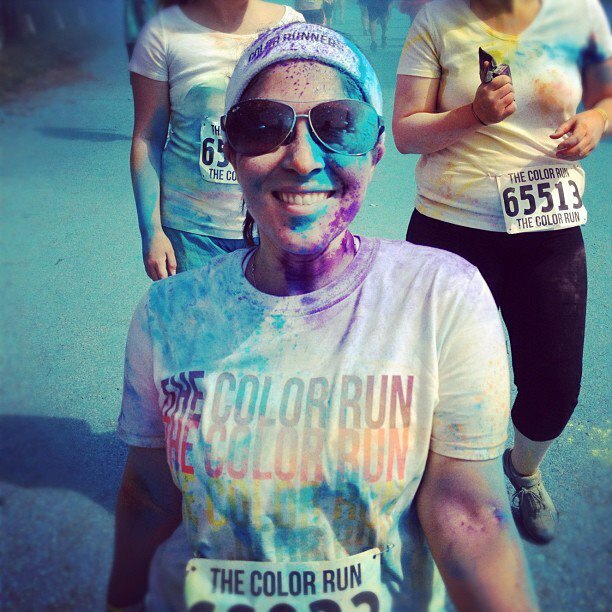 Her Revolution of Evelyn Serrano took an Honor in 2013. And it’s no secret how much I enjoyed this memoir about her path to Sesame Street, where she played the iconic “Maria.” The lyrical text evokes both the childhood trauma and resilience that made her the role model and award-winning writer and actress she is today. Just try to keep a dry eye. Manzano’s holiday-themed picture book Miracle on 133rd Street could also take a medal this year. The Oregon Mock certainly thinks so. 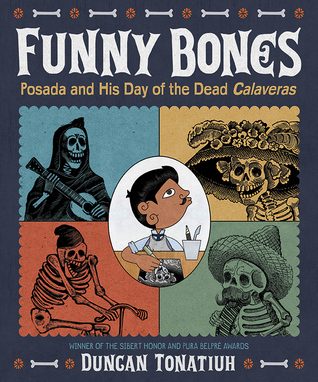 Funny Bones: Posada and His Day of the Dead Calaveras by Duncan Tonatiuh. illus. by author. Abrams. Echo by Pam Muñoz Ryan. Scholastic. Though only one section of past Author Medalist’s ambitious novel directly celebrates Latino culture, this book has lots of fans in the library world. It might get a nod on January 11. Mango, Abuela and Me. 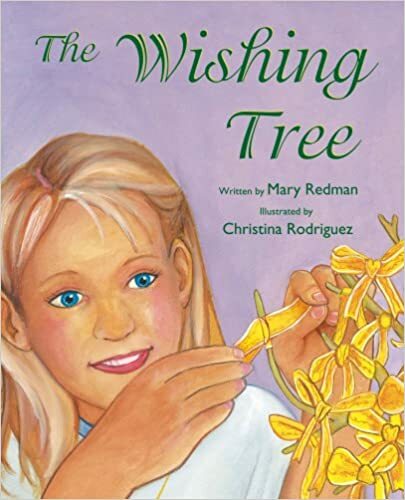 Candlewick by past Author winner Meg Medina. There’s a parrot and an adorable abuela bridging cultural and linguistic divides. Sounds like a recipe for a winner to me. Drum Dream Girl by Margarita Engle. illus. by Rafael López. HMH. Wouldn’t it be amazing if Engle takes both the Award and an Honor? This picture book inspired by an Afro-Chinese-Cuban female musician who broke gender barriers is a true gem. Salsa: Un Poema Para Cocinar/A Cooking Poem. by Jorge Argueta. Illus. by Duncan Tonatiuh. Groundwood. 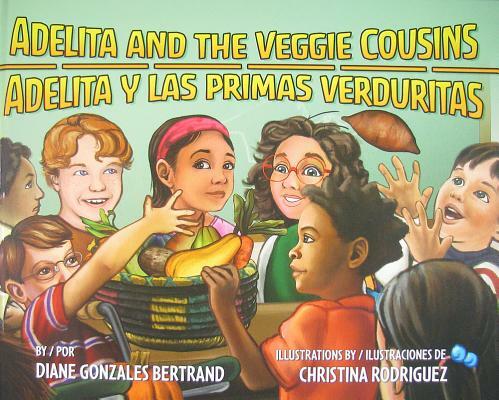 This bilingual text, part of the “Cooking Poem” series is as delectable as the previous entries. Definitely a contender! Since the committees tend to stay away from upper-end YA, I don’t know if Adam Silvera’s More Happy Than Not (SohoTeen) or Ashley Hope Pérez’s Out of Darkness (Lerner) will be recognized, but wouldn’t that be nice? 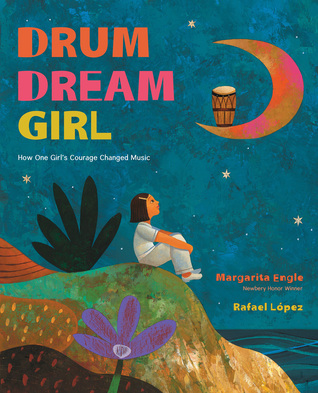 Winner: Drum Dream Girl by Margarita Engle. illus. by Rafael López. HMH. Reasons why I think it will win: Have you seen this book? 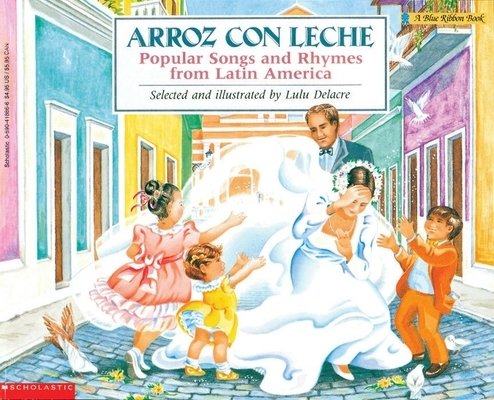 It just screams “Caress Me!” The illustrations are majestic and vibrant and López isn’t a stranger to the Pura Belpré either. Once again, no surprise on how much I love it here. But, I’m not the only one! 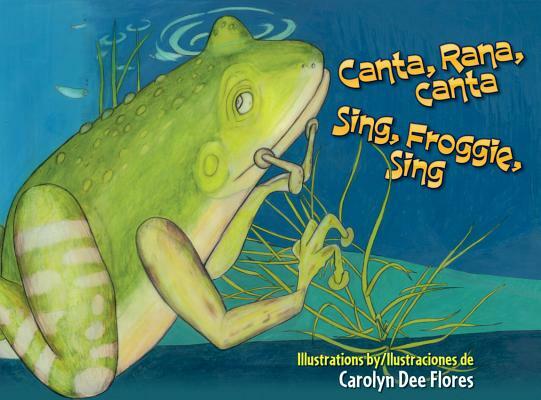 Already on several Best lists, it’s also been garnering some possible Caldecott buzz. 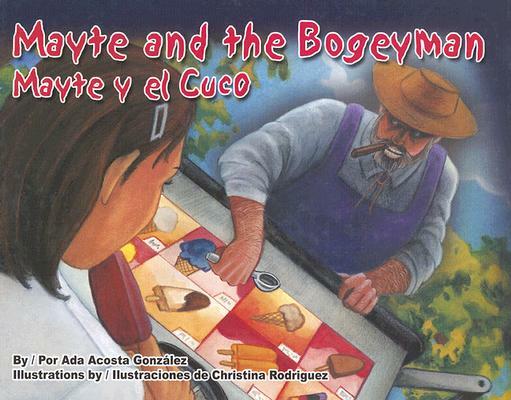 The art elevates the already excellent text by incorporating the protagonists’ multicultural background, showcasing the diversity within the Latino people. Funny Bones: Posada and His Day of the Dead Calaveras by Duncan Tonatiuh. illus. by author. Abrams. A New York Times Best Illustrated book of 2015, this informational book about the artist whose calaveras have become synonymous with Día de los muertos is as gorgeous as it is informative. Tonatiuh doesn’t disappoint—and I’m sure he won’t be disappointed on January 11. 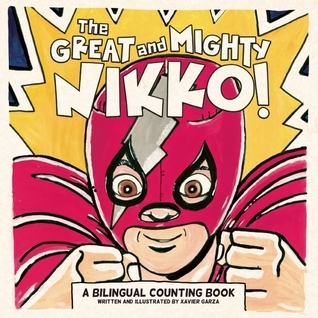 The Great and Mighty Nikko by Xavier Garza, Cinco Puntos. While Garza was honored in 2012 for narrative, he might just garner some recognition this time around for his fabulous art in this concept book. 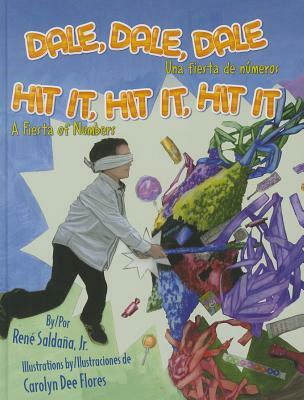 Riffing off a similar Lucha Libre theme as his past books, this counting tale is just so eye-catching that it might surprise us. Little Chanclas by José Lozano. illus. by author. Cinco Puntos. The stylized illustrations reminiscent of street art and the infectious and expressive heroine and her penchant for sandals just might charm the committee enough to win some praise. 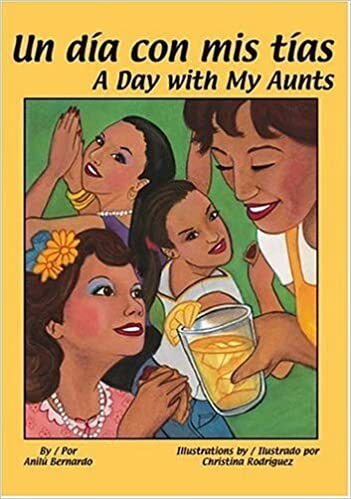 Mango, Abuela and Me by Meg Medina. Illus. by Angela Dominguez. Candlewick. 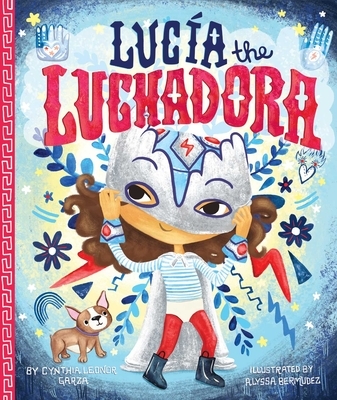 Dominguez received a nod for her irresistible art in 2014 Maria Had a Little Llama / María Tenía una Llamita and she’s certainly been busy this year with her contribution to the “Lola Levine” chapter books and her own Knight Together. This could certainly be her year! So, those are my picks! What say you? Did I leave anything out?